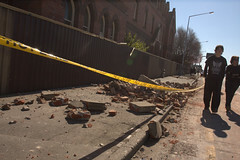 Geonet, the website offering the GNS Science earthquake information has produced a list with all aftershocks in the Canterbury region since the massive earthquake on the night of September 4 in Darfield. Every link in the list will bring you to the detailed report of the specific quake. We have ranked the list by Magnitude NOT by date and hour. The good news : Since the major shocks of M 7.1 and M 7.4, the maximum value was 5.4 (very powerful but with minimal additional damage or injuries). More good news : a lot of buildings have since been stabilized with less chance to collapse if a more powerful aftershock would strike. About Geonet : The GeoNet project is core funded by the Earthquake Commission (EQC) and is being designed, installed and operated by GNS Science on behalf of EQC and all New Zealanders. Link to the first part and second part of our reporting who starts just a couple of minutes after the earthquake struck. Numerous aftershocks since the Magnitude 7.0 main quake from September 4 (local time). 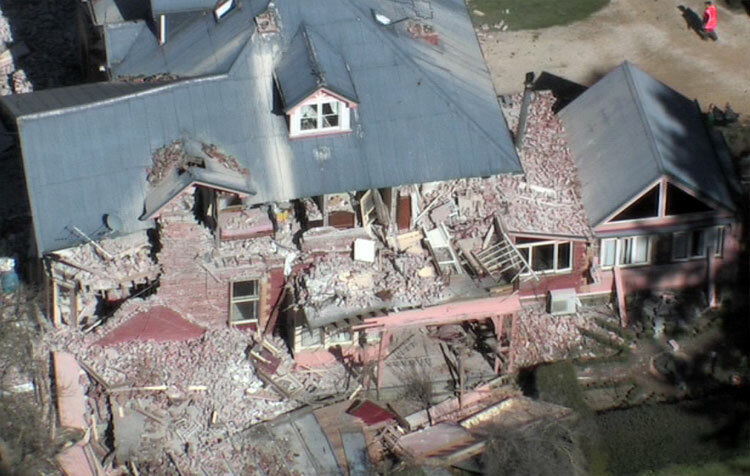 Earthquake-report.com published a live aftershock article a couple of hours ago. 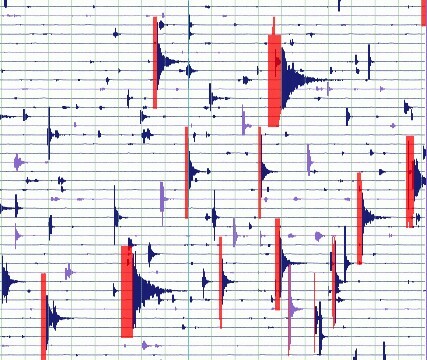 The seismogram gives a very good idea what people of Canterbury and Christchurch are experiencing at this moment. – Read also the latest Reuters Alert report, with a lot more details on this earthquake. – A small gesture of a dairy farmer made a big difference just after the quake. Read this heart warming article. – The earthquake, high winds and fresh snow has triggered at least 12 quite large avalanches at Mount Hutt, the Canterbury skiing area. – Authorities warn Canterbury inhabitants to be careful with their drinking water as the complete water distribution system has got a lot of damage and some parts maybe polluted. – As the sewage system is seriously damaged too, people were asked to keep flushing toilets to a minimum. Update 16:44 UTC : A powerful aftershock with a Magnitude of 4.8 struck at 4:06 AM (local time) 10 km south of Coalgate. These aftershocks are normal after such a powerful earthquake. As the tectonic plates will try to find a stabilization, the complete area is now at risk for aftershocks. The shallow depth will probably be the same. The epicenter of this aftershock is a lot more to the south of the original epicenter. Update 23:00 UTC : The Salvation army is appealing for cash donations to strengthen its fast response. Within hours of the disaster, the Salvation Army was asked to feed around 1,000 people in at least 2 Christchurch locations. There will be a multitude of needs in the following days. Update 23:35 UTC : – About 15% or 60 streets are still without water. – The trauma of the earthquake may continue for weeks or even months, says a psychologist. – scientists were very surprised, as the epicenter revealed a new faultline in an not previously known as potentially dangerous. – Some Darfield residents, closest to the epicenter, were thinking that a train was riding into their house. Check our LIVE AFTERSHOCKS PAGE for more information. Update 13:04 UTC : 2 powerful aftershocks. Click here for our separate report. GNS Scientists have made a flyover of the 22 km long (now detected) fault line. The video explains what is going on in the earth’s crust during such a missive earthquake. Click here for our detailed page. – On Monday companies started to cleanup the rubble. – Port of Lyttelton was back in full operation on Monday after an extensive assessment by engineers.